Home » General » My Women Stuff in the news! My Women Stuff in the news! 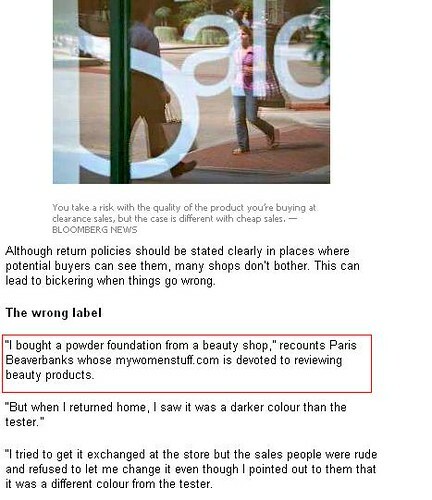 I actually am mentioned twice in the article because I had 2 unpleasant shopping experiences that stuck in my mind. Wahhhh… ParisB is femes liao! Congrats on the double mention girl! Uhuh…I read it and I’m so glad the articles were published. Especially the one on sale items. wow! congratulations! I wish i could be in the papers one day as well. Hey congratulations! That’s good publicity for you.